Crown Prince Mohammed bin Salman met with British Prime Minister Theresa May’s special envoy, Simon McDonald, to discuss bilateral relations the Saudi Press Agency reported on Monday. 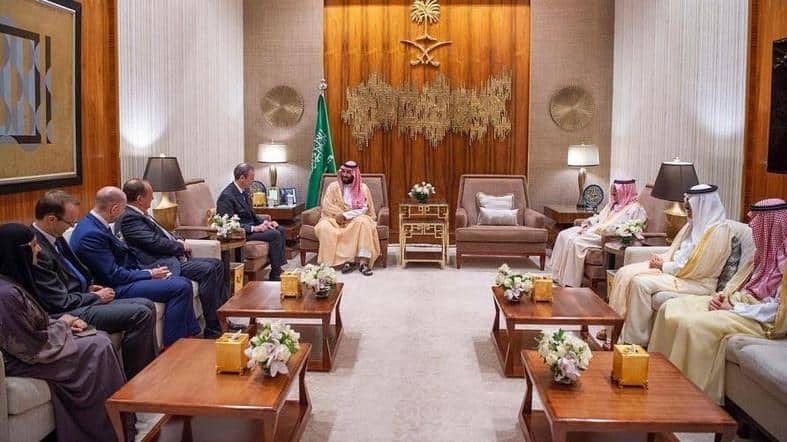 McDonald and the Crown Prince’s meeting in Riyadh comes after British foreign minister Jeremy Hunt has announced said he will visit Saudi Arabia and the United Arab Emirates to press for a resolution to the war in Yemen. British Prime Minister Teresa May has rebuffed calls from opposition lawmakers to end lucrative arms contracts with their close ally Saudi Arabia.